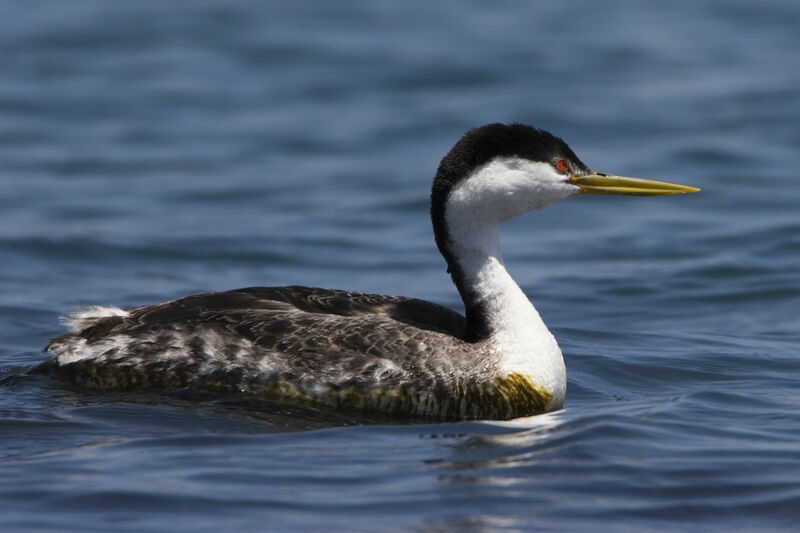 A June 19, 2013 paper in the journal PLoS ONE hypothesizes that regional declines in Western Grebe populations may be related to decreasing numbers of forage fish. Using citizen science data from 36 years of bird counts, researchers were able to look at population trends up and down the entire West Coast, finding that abundance of grebes decreased in the Salish Sea but increased in southern California. North American population declined by 52% overall. Marine waterbirds have shown variable trends in abundance over the past four decades with some species displaying steep declines along the Pacific coast from British Columbia through California. One of the most dramatic changes has been that of western grebes (Aechmophorus occidentalis) in the Salish Sea. This region was a former core of the species wintering distribution but they have become increasingly rare prompting calls for conservation action. A more thorough understanding of this situation requires the analysis of trends at broader geographic scales as well as a consideration of mechanisms that might have led to a change in abundance. We used hierarchical modeling with a Bayesian framework applied to 36 years of Audubon Christmas Bird Count data to assess continent-wide and regional population trends in western and Clark’s grebes (A. clarkii) from 1975 to 2010. Our results show that the North American wintering population of Aechmophorus grebes decreased by ~52% after 1975, but also that western grebes displayed strongly opposing regional patterns. Abundance decreased by about 95% over 36 years in the Salish Sea but increased by over 300% along coastal California. As a result, the mean centre of the species distribution shifted south by an estimated 895 km between 1980 and 2010. Mechanisms underlying this shift require further study but we hypothesize that it may be related to a change in the abundance and availability of their forage fish prey base. Since the mid-1980s, the Pacific sardine stock off the California coast increased from a few thousand metric tonnes to over two million. At the same time both the abundance and availability of Pacific herring declined in the Salish Sea. Studies are needed to examine this hypothesis further and additional consideration should be directed at other changes in the marine environment that may have contributed to a range shift.